; A ddress i .. The Hon ! ble the Political Resident A senior ranking political representative (equivalent to a Consul General) from the diplomatic corps of the Government of India or one of its subordinate provincial governments, in charge of a Political Residency. B U S H I R K.
QATR CONC ESSION NEGOTIATIONS . 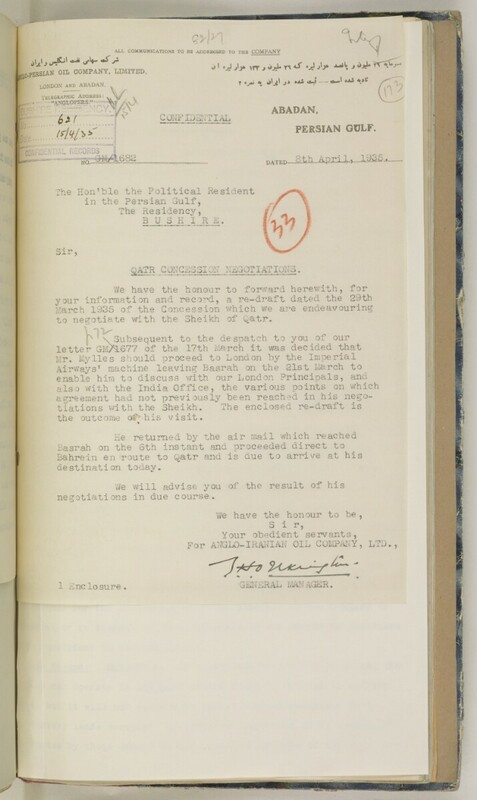 to negotiate with the Sheikh of Qatr. the outcome of* his visit.